On the hunt for your next Predator collectible? You’re in luck as Sideshow Collectibles’ Predator Mask Life-Size Prop Replica is the next collectible to be joining Sideshow’s huge line-up of Masks, including the Bone Grill, Battle Damaged Classic, Elder Ceremonial, Ceremonial, and Predator 2! 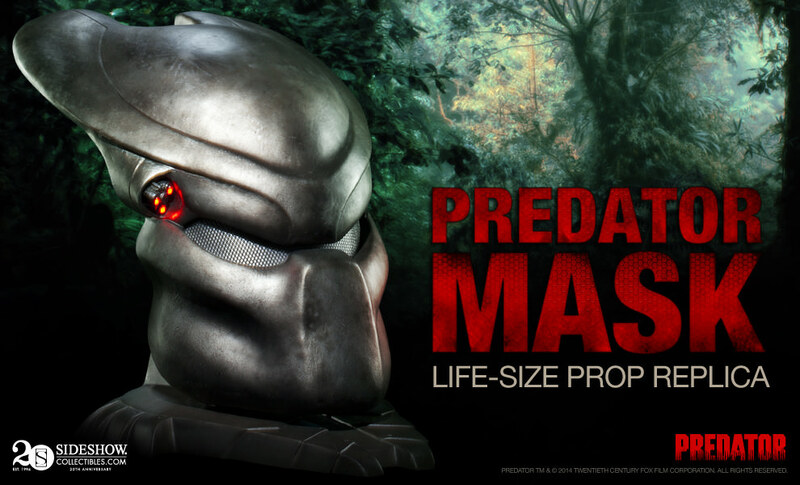 Pre-Orders for the latest Predator Mask begin on Thursday, February 27th, 2014!